Which 5 questions are the best to ask in a psychic reading? Many people go to a psychic because they’re struggling to decide a particular route to take in their lives, whether it’s in their love life or another area. Guidance is a huge part of psychic readings, and it’s important you gain brilliant advice that you can take on board after a reading. When you start speaking to a psychic, it can be difficult to stay on track. It can be because you are excited to talk to them or because you both get on incredibly well. It’s vital that you remember why you are calling in the first place, so you know precisely what type of questions to ask. Picking a psychic because of their particular skill is a good idea because they will be able to give you the best results possible. 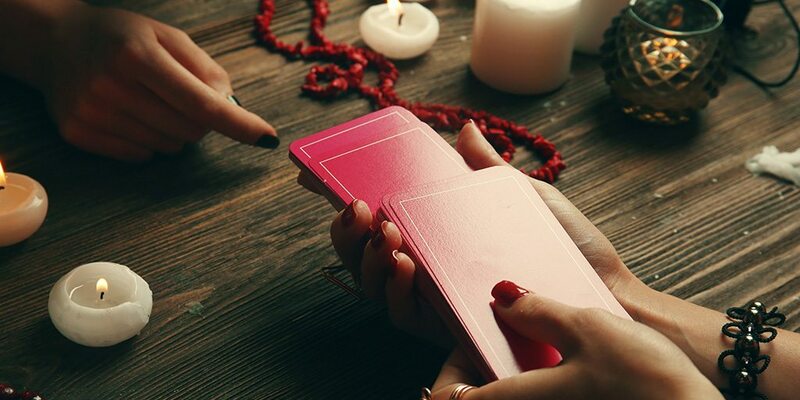 There are many types of readings, so you’re bound to find one that suits you, whether it’s an Angel, Tarot or Crystal reading. If you’re asking different questions, we suggest grabbing a piece of paper and a pen to note down the key points that have been raised in a reading. This way, you can look back at the answers you were given to see whether they have happened yet! If you’re unsure about the questions to ask during a reading, below we have picked some key examples that will help lead a reading in a direction. 1. Can you advise me on my love life? Is there something specific you can see? This question is great because it’s open-ended. When you ask about your love life, you don’t just want a yes or no answer because you’ll want to know as much as possible. A psychic can begin to ask you different questions too, such as whether you’re currently in a relationship with someone and what they believe will happen to that partnership. A lot of the time, psychics can see something specific and can pick up on the main points that will change a reading. Will I ever get married or have children? 2. Are there any big changes in my future? If you prepare yourself for big changes in your life, the better you will be at dealing with it. If you ask this to a psychic, they could predict what will happen and when. There are times when a psychic will see something and can picture where you will be in your life. They can begin to tell you a lot of information, down to where in the world you’ll live. If you hear a particular change being mentioned and want to know more about it, you can ask the psychic to elaborate further. Is something going to turn my life upside down? Can you describe my future? Where do you think I will be in 5-10 years? 3. Am I on the right track for my career? Psychics have an excellent talent when it comes to understanding people spiritually. They can feel very specific things about your personality and can reveal areas you haven’t explored yet. If you ask about whether you’re on the right track for your career, the psychic could suggest a way to use your best abilities to get the job you want. Sometimes, a psychic can tell straight away whether we are exceptionally creative or analytical, and will advise you on the best choices for you. Will my career take me to another country? Am I going to succeed in my job? What do I need to do for this to happen? 4. How can I heal from a difficult time? Spiritual advice is brilliant because a psychic will know the wonderful ways you can heal your mind and soul after a rough time in your life. It’s important to be open to what they suggest because they might explore different options you have never considered. They might end up revealing what you spirit guide is and how it can help you on the path to happiness. This guidance could reveal more about your personal strength than you expected, which is why it can be such an excellent question to ask. Will I ever move on from my breakup? How can I deal with a death of a loved one? Am I going to be happy again? What are the steps I need to take? 5. Do truly loyal friends surround me? How can I find new friends in life? A psychic could reveal that you are looking for friends in all the wrong places. They might even be able to tap into a negative experience you’ve had with people and could explain the journey you must take to find your true soul connections. A psychic reader could reveal when you are going to meet someone very soon and why they will be a brilliant friend. This type of question is excellent for people who have experienced a lot of toxic friends throughout their life and want to know whether there is going to be a positive change. How can I help my friend who is struggling? Will I find new friends when I move away? What type of friend will suit me the most and why? These are excellent questions and very helpful. Thank you!